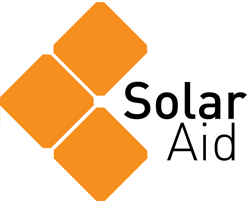 SolarAid turned 10 years old in 2016. 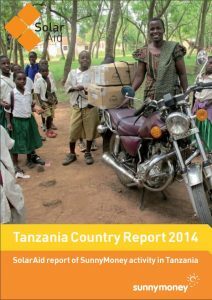 This report looks at the impact SolarAid has made over the last ten years, focussing on Kenya and Tanzania, where small but thriving solar markets now exist where previously there were none. 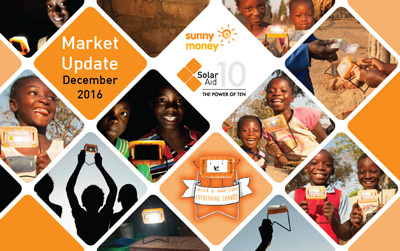 SolarAid and SunnyMoney have now sold over 1.7 million solar lights. 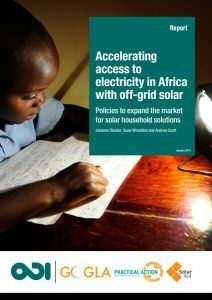 This report shows how this has lit up millions of lives, catalysed sustainable solar markets and enabled critical research and policy work. 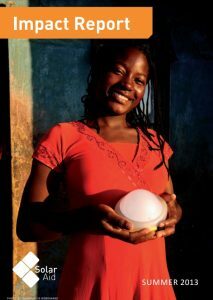 This report will show that million are making the choice to invest in a small solar light. In the pages that follow we share some of the stories that have both inspired us and helped us learn why these decisions are being made, and just how important it is that we continue moving towards our goal to eradicate the kerosene lamp from Africa by 2020. 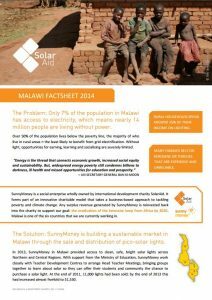 This report introduces the SunnyMoney enterprise and describes SolarAid’s innovative charitable model that takes a business based approach to tackling poverty and climate change. 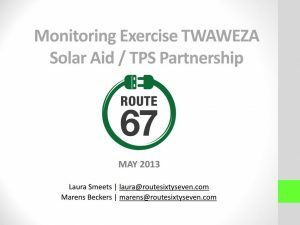 It also features our research team based in Tanzania and presents the several impacts the solar lights have made in Tanzania. 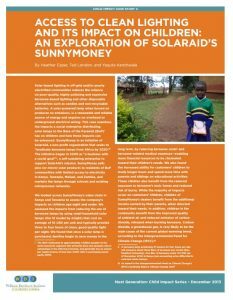 This report introduces the SunnyMoney enterprise and describes SolarAid’s innovative charitable model that takes a business based approach to tackling poverty and climate change. 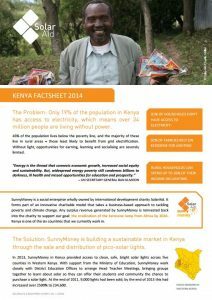 It also features our research team based in Kenya and presents the several impacts the solar lights have made in Kenya. 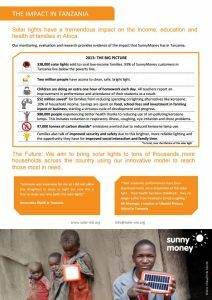 This report introduces the SunnyMoney enterprise and describes SolarAid’s innovative charitable model that takes a business based approach to tackling poverty and climate change. 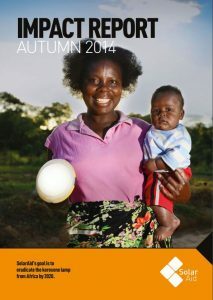 It also features our research team based in Zambia and presents the several impacts the solar lights have made in Zambia. 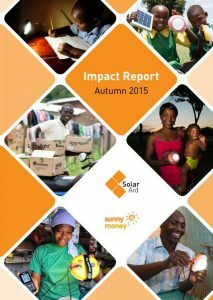 This report introduces the SunnyMoney enterprise and describes SolarAid’s innovative charitable model that takes a business based approach to tackling poverty and climate change. 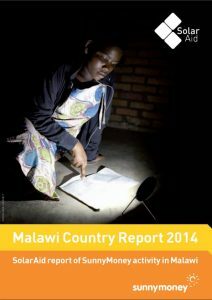 It also features our research team based in Malawi and presents the several impacts the solar lights have made in Malawi. 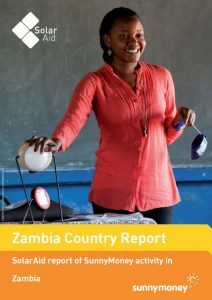 This report introduces SolarAid’s mission on eradicating the Kerosene lamp by 2020, how we intend to do that and the impact we have achieved so far. 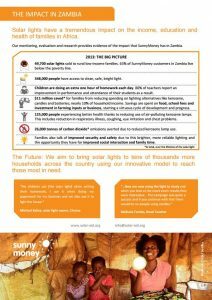 Our business-based approach presents why it is essential to creating a sustainable solution to the energy crisis in Africa, introducing the SunnyMoney Enterprise. 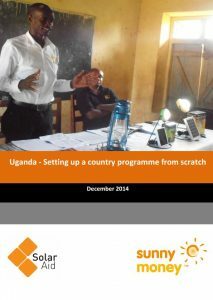 SolarAid’s social enterprise, SunnyMoney, has expanded into its fifth country, Uganda. We have sold more than three times as many solar lights in Uganda than in any other country after the first month of sales. This report explores how and why this has been our most successful launch yet. This is how we set up a country programme from scratch. 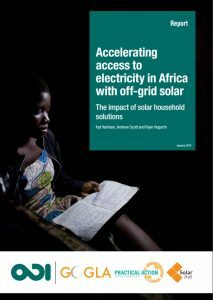 This report was prepared for the Department for International Development in support of preparations for the Energy Africa access campaign, which aims to accelerate access to electricity in sub-Saharan Africa through solar household solutions. It presents evidence of the impact of solar household systems, reviews the market in the region and 13 selected countries (listed in Table 1 below), and identifies the key policy measures to enable accelerated access to electricity through solar household solutions. This paper summarises the evidence that is currently available on the impact of solar household systems on poverty reduction and the environment in Africa. 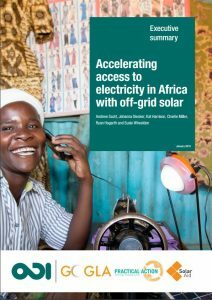 It is one of three papers about solar household systems in Africa, prepared as background papers for the Energy Africa campaign, which was launched in October 2015. 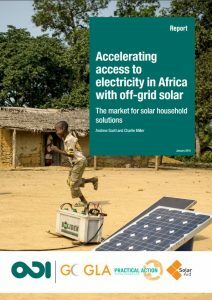 This paper describes how the household solar market in sub-Saharan Africa has grown to date, its current status and possible future trends. The paper draws on recent studies, as well as a series of stakeholder interviews, to identify the key drivers, barriers and opportunities to accelerate market growth. This study consulted with companies operating in the sector, policy-makers and other stakeholders for their views of the priorities for a policy framework and the current policy environment in the countries selected for the study. 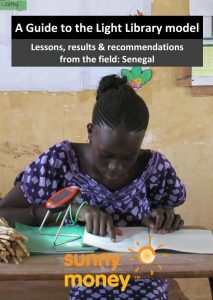 This report shares information on the design and delivery of the model and the subsequent delivery of SunnyMoney’s traditional sales model, ‘The School Campaign,’ which tested the effect on demand/purchase of solar lights. 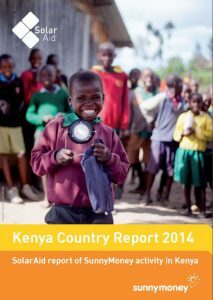 It shares the results of an evaluation as well as the lessons learned, challenges faced, and key issues addressed. Ce rapport partage des informations sur la conception et l’exécution du modèle, suivi par la mise en œuvre du modèle de vente traditionnel Campagne dans les écoles» de SunnyMoney afin de tester l’effet sur la demande et l’achat de lampes solaires. Il retrace les résultats de l’évaluation ainsi que les leçons tirées, les défis rencontrés et les principaux problèmes qu’il a fallu résoudre. This looks across SunnyMoney’s value chain in Kenya and Tanzania to assess the company’s impacts on children age eight and under. The study assessed the impacts from reducing the use of kerosene lamps by using small household solar lamps (the S1 model by d.light) that cost an average of 10 USD per unit and typically provide three to four hours of clean, good quality light per night.